Patch 8.4 is about to hit and with it, huge changes to AP itemization. It’s a big shakeup for a non-preseason or midseason change, so let's guide you through the new AP build paths, and what each champion should look to buy now. 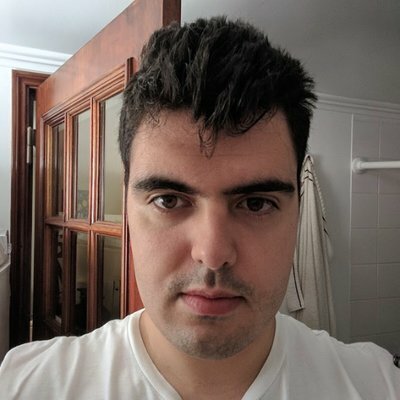 The big goal of Patch 8.4 is to add early item options that will make AP itemization less stale, because right now, most mages have a set 2-3 core item build path regardless of the game: Morellonomicon into Liandry’s for most mages, or Tear into Rod of Ages or Abyssal Mask for the heavy mana users like Ryze or Cassiopeia. In theory, with more 1st item options, we can reward more decision making and let people switch builds to fit each situation better. The secondary problem we had is that AP items are extremely overloaded. Morellonomicon is a purchase for almost every mage because it grants extremely important Ability Power, Cooldown Reduction and Mana, but on top of it it has a mana restoration passive AND Grievous wounds. Haunting Guise is meant to amplifying damage with its flat penetration, but the burn on Liandry’s is good for consistent damage dealers and against tanks. tl;dr - Too few options and certain items were doing too much and thus becoming too prevalent. Lost Chapter is a bit more expensive but now grants 10% CDR, giving mana-based mages access to the stat a little earlier, which is important especially when behind. Right off the bat, Luden’s seems to be the most popular first item for most mages. Having the Luden’s Passive on the 20% CDR item solves a lot of waveclear issues for mages who would otherwise struggle to one shot creeps until reaching higher Ability Power breakpoints. Archangel's Staff is now completely different, granting 20% CDR and more mana in return for slightly less AP. Don’t let the numbers on it fool you, however, as the passive mana to AP conversion makes this item deceptively strong. This is a huge buff for the traditional Tear mages. Ryze, Cassiopeia and even sometimes Anivia would often build a Catalyst item (Rod of Ages or Abyssal Mask) and Archangel’s Staff for mana and mana to AP conversion, and Morellonomicon for the strong CDR. But with Archangel’s Staff being both the Tear of the Goddess item AND the 20% Cooldown Reduction item, scaling Tear+Catalyst mages are now hitting their power spike earlier which also allows them to start itemizing for luxury or defensive items earlier. The 650 mana on an unstacked Archangel Staff will grant 20 AP via the Awe passive and most mages that rush this item will be around level 9 when buying it. At level 9, most mages base mana ranges between 650-750 range, which will translate into 20 AP at worst. This means that a rushed Archangel’s Staff will grant at least 90 Ability Power, without even taking into account tear stacks. While Archangel’s is supposed to be the scaling item, it’s strong when completed and becomes stronger with scaling which means we might see a lot of non traditional Tear mages start building Archangel’s Staff and picking it over Luden’s Echo, given that the current meta revolves a lot more around scaling, and the shield passive on Seraph's is invaluable for extra protection going into the mid and late game stages. Finally there’s Hextech GLP. The loss of Catalyst and health in its recipe probably means Aurelion Sol no longer wants this item and will likely grab Rod of Ages first instead. It’s important to note the changes to the active. Its range has been increased by 200 units but the damage and scaling are down, from 100-200 (0.35 AP) to 75-150 (0.20 AP). The slow potency went down from 65% to 40%, but it’s now a decaying slow of 1 second instead of 0.5 seconds. Champions such as Ahri, Ekko or Lissandra seem to be the main candidates to pick up this item to increase their chances of picking off opponents, using it to slow and close the gap and increase their burst rotation. However, the meager numbers on the active compared to Luden’s passive means it might be ignored over the other options. Liandry’s Torment was a bit of an overloaded item, it granted Magic Penetration from Haunting Guise (good for amplifying burst) but it was also good for consistent damage dealers to deal with tanks due to the % health damage burn. The Magic Penetration was moved to Oblivion Orb and Haunting Guise now has a progressive damage increase, perfect for damage over time abilities and consistent damage dealers. Note that the burn on Liandry’s is now maximum health instead of current, so it performs better versus tanks. Oblivion Orb is the new 15 Magic Penetration Item, and Morellonomicon is a new health and ability power item with Grievous Wounds. As with the old Haunting Guise, Oblivion Orb is an extremely strong item to increase your damage spike against in the early and mid game but don’t feel obligated to upgrade it to Morellonomicon straight away. 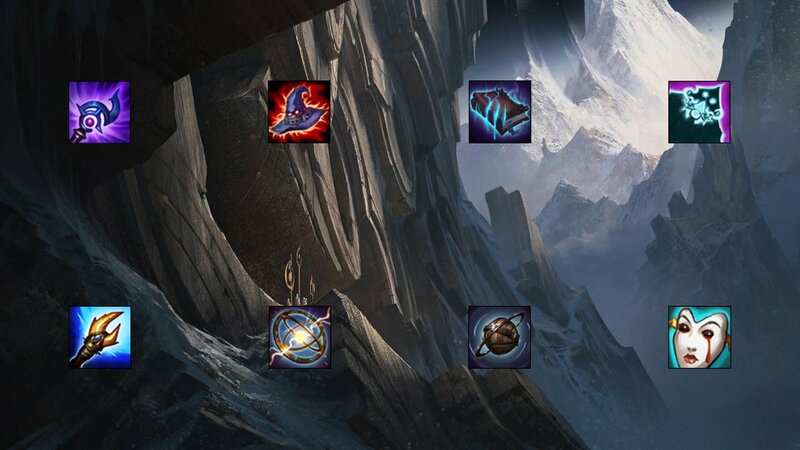 One can just sit on the component for its strong stats and upgrade to Morellonomicon later in the match whenever AD Carries start getting lifesteal items or earlier if playing against the likes of Maokai or Vladimir. Note: Grievous Wounds now applies at any health threshold and not only when under 40%, making it very potent to deal with healing. Spellbinder is the new item coming in to replace Luden’s Echo. It’s a pure offensive item with an active suited towards increasing burst and movement in a short window of time. It can be built as early as a second item for a pure offensive item to snowball, but it's only recommended you do this if very ahead. Similarly to Luden’s it also serves the purpose of being the item you buy last if you want to sell boots as it’s one of the best movement speed items in the game. The stacking mechanic depends on both allied and enemy spellcasts, so expect to see stacks go up much faster if a Karthus or a Ryze are against you. Twin Shadows is back! With the removal of Frost Queen’s Claim, Twin Shadows will be back on the store to ensure there are spooky ghosts on the rift. The item’s stats aren’t very strong, so you won’t be seeing much of it outside of the support role. Rabadon’s Deathcap now builds out of two Needlessly Large Rods, is 200 gold cheaper and increases AP by 40% (up from 35%) - The luxury AP item is now even stronger. It should still only be purchased as early as fourth item. 1. With the numbers being shipped on 8.4, Archangel's Staff seems to be the strongest of the Lost Chapter Items, given that it provides better stats than the other two items while also scaling with tear stacking and other mana purchases. For the former Morellonomicon rush mages, choosing between Luden's Echo and Archangel's Staff will mostly come down to if you really want the waveclear and if you want to be stronger before your first item completion. If you do, then Luden's is the way to go, otherwise, the scaling on Archangel's will trump anything. 2. Adding 20% Cooldown Reduction to Archangel's Staff is a huge buff for the Tear+Catalyst mages, as they will now powerspike earlier while still scaling just as well. Expect Anivia, Cassiopeia and Ryze to perform better as they can start itemizing for defensive or luxury items sooner. 3. For burst mages, at first glance GLP seems to be best to increase burst and catch potential, but the weaker numbers on the active might just make Luden's Echo more attractive. 4. Liandry's Torment is a very strong item for Damage over time and consistent damage dealers, expect Rumble to be indirectly buffed through itemization, as well as Cassiopeia (again), Singed, Mordekaiser and Brand. Rylai's Crystal Scepter now grants more AP, which further bolsters many of these champions. 5. Spellbinder provides AP assassins and Burst Mages a new tool to periodically amplify their burst, it's a very greedy purchase with offensive stats, so expect it to be overwhelming when ahead and perhaps somewhat underwhelming when behind as building it can put you through a tough power trough.